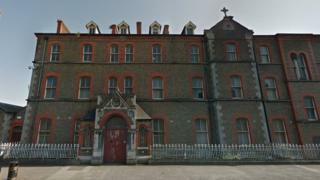 A number of Dublin city councillors are attempting to stop the sale of a Magdalene Laundry building to a hotel chain. The Magdalene Laundries were Catholic-run workhouses for so called "fallen women", unmarried mothers, and orphans. If approved the complex is to be sold by the council for €14m (£12.5m) to the Japanese company, Toyoko Limited. The council said it is for councillors to decide whether to go ahead with the sale. 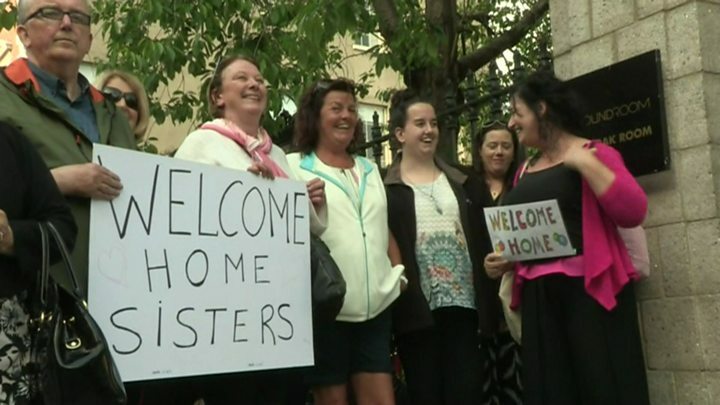 Dublin city council took control of the property in a transfer of land between the council and the Sisters of Charity religious order after the laundry closed 22 years ago. Social Democrat councillor Gary Gannon is calling for members to support a bid to prevent the sale. The motion was discussed at a Dublin city council meeting on Monday afternoon. It received support from Sinn Féin, Labour, the Workers Party as well as some Independent councillors. However, Fine Gael councillor Ray McAdam said Mr Gannon's motion was "pre-emptive" as the council was still waiting for the Lord Mayor's working group on the issue to make its report. The vote on whether to halt the sale of the former Magdalene Laundry has been adjourned to 13 September as the councillors ran out of time. Mr Gannon said the property should be used to fulfil the government's commitment to have a memorial for the women who were placed in the laundries. In February 2013, then Taoiseach (prime minister) Enda Kenny apologised to the 10,000 women who had passed through the laundries. Following that, Justice John Quirke recommended the establishment of a redress scheme for the Magdalene survivors. Mr Justice Quirke also recommended the establishment of a memorial garden or museum. The recommendations were accepted by the government in full and while a redress scheme was opened in June 2013, there has yet to be an official permanent memorial. What were the Magdalene laundries? Mr Gannon said: "It is only in the last couple of years that we started to develop an understanding of institutional abuse. "That laundry on Sean McDermott Street is the only one still in state possession, and there is a growing movement that says we need some sort of museum or commemorative centre that can help us understand that particular issue. "The survivors are all in favour of having a memorial to their suffering, that was a request that was made by the survivors, it is something all survivor groups have been really passionate about," he added.